Daedalus Productions, Inc. has produced films about history, photography, music, culture, human rights, social issues, . Our films have been invited to and won awards at international festivals including Telluride, NY, Berlin, London, Columbus, Amiens and Sundance, and have been broadcast and toured internationally. Daedalus Productions works with the finest talents in the entertainment and media world to create non-fiction film and television that utilizes the best of contemporary scholarship and professional expertise to push the boundaries of the medium, widen its audience, educate and inform. DAEDALUS PRODUCTIONS, INC., is a not-for-profit film and television production company established in 1980 by NINA ROSENBLUM and DANIEL V. ALLENTUCK to produce non-fiction television for network, public and cable markets as well as theatrical feature documentaries and dramatic films. Specializing in international co-production, Daedalus has won numerous awards and is a highly respected member of the worldwide non-fiction community. or by email/phone order from Daedalus Productions, Inc. 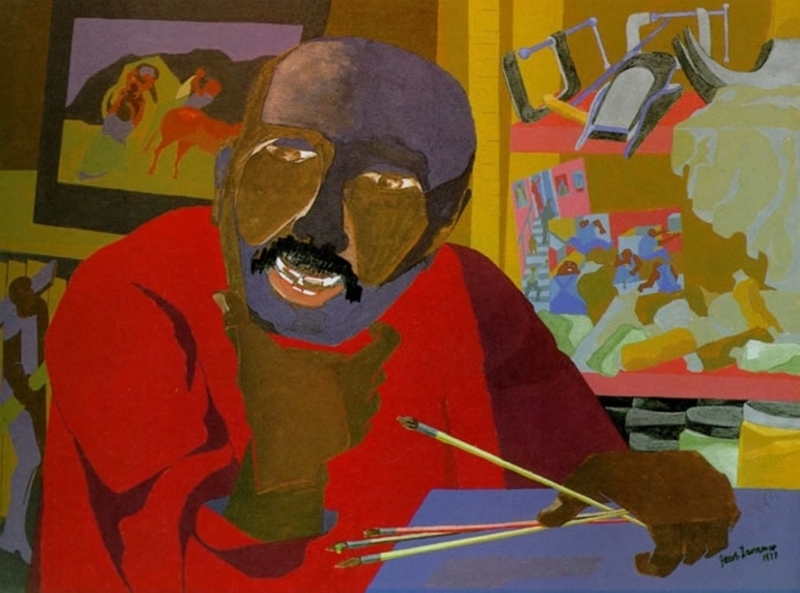 Produced and written by Daniel Allentuck in development with WETA, Washington, D.C.
Jacob Lawrence was one of the most important artists of the 20th century, widely renowned for his epic narratives of African American history and historical figures.